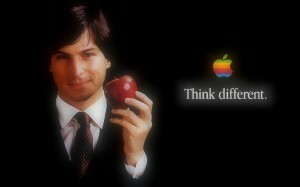 Steven Paul "Steve" Jobs was an American inventor and entrepreneur. 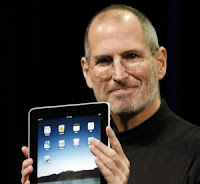 He was co-founder, chairman, and chief executive officer of Apple Inc. Steve Jobs also was co-founder and previously served as chief executive of Pixar Animation Studios; he became a member of the board of directors of the Walt Disney Company in 2006, following the acquisition of Pixar by Disney. In the late 1970s: Steve Jobs—along with Apple co-founder Steve Wozniak, Mike Markkula and others—designed, developed, and marketed one of the first commercially successful lines of personal computers, the Apple II series. 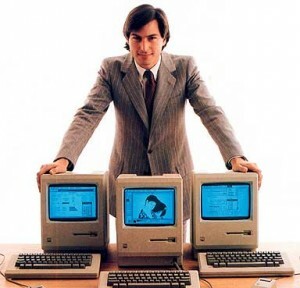 In the early 1980s: Jobs was among the first to see the commercial potential of Xerox PARC's mouse-driven graphical user interface, which led to the creation of the Apple Lisa and, one year later, the Macintosh. In 1985: Jobs left Apple and founded NeXT, a computer platform development company specializing in the higher-education and business markets. In 1986: he acquired the computer graphics division of Lucasfilm Ltd, which was spun off as Pixar Animation Studios. 1995: He was credited in Toy Story as an executive producer. He remained CEO and majority shareholder at 50.1 percent until its acquisition by The Walt Disney Company in 2006, making Jobs Disney's largest individual shareholder at seven percent and a member of Disney's Board of Directors. 1996: Apple's buyout of NeXT brought Jobs back to the company he co-founded. 1997: He served as its interim CEO. 2000: He became permanent CEO. 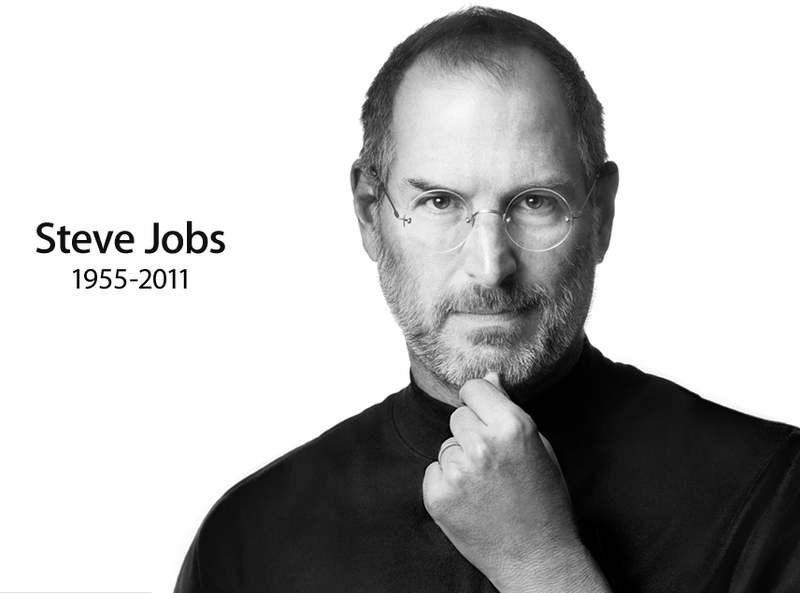 August 2011: Resigned as CEO and was elected chairperson of Apple's board of directors and held that title until his death. As an infant, Steven was adopted by Clara and Paul Jobs and named Steven Paul Jobs. Clara worked as an accountant and Paul was a Coast Guard veteran and machinist. The family lived in Mountain View within California's Silicon Valley. 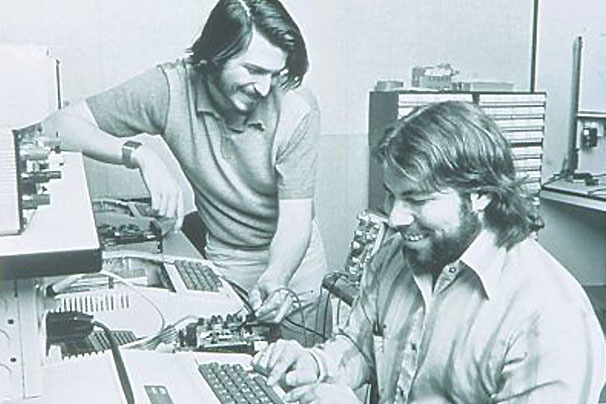 As a boy, Jobs and his father would work on electronics in the family garage. Paul would show his son how to take apart and reconstruct electronics, a hobby which instilled confidence, tenacity, and mechanical prowess in young Jobs. While Steve Jobs has always been an intelligent and innovative thinker, his youth was riddled with frustrations over formal schooling. In elementary school he was a prankster whose fourth grade teacher needed to bribe him to study. Jobs tested so well, however, that administrators wanted to skip him ahead to high school—a proposal his parents declined. In 1974, Jobs took a position as a video game designer with Atari. Several months later, he left Atari to find spiritual enlightenment in India, traveling the continent and experimenting with psychedelic drugs. In 1976, when Jobs was just 21, he and Wozniak started Apple Computers. The duo started in the Jobs family garage, and funded their entrepreneurial venture after Jobs sold his Volkswagen bus and Wozniak sold his beloved scientific calculator Jobs and Wozniak are credited with revolutionizing the computer industry by democratizing the technology and making the machines smaller, cheaper, intuitive, and accessible to everyday consumers. The two conceived a series of user-friendly personal computers that they initially marketed for $666.66 each. Their first model, the Apple I, earned them $774,000. Three years after the release of their second model, the Apple II, sales increased 700 percent to $139 million dollars. In 1980, Apple Computer became a publically traded company with a market value of $1.2 billion on the very first day of trading. Jobs looked to marketing expert John Scully of Pepsi-Cola to help fill the role of Apple's President. However, the next several products from Apple suffered significant design flaws resulting in recalls and consumer disappointment. IBM suddenly surpassed Apple sales, and Apple had to compete with an IBM/PC dominated business world. In 1984 Apple released the Macintosh, marketing the computer as a piece of a counter culture lifestyle: romantic, youthful, creative. But despite positive sales and performance superior to IBM's PCs, the Macintosh was still not IBM compatible. Scully believed Jobs was hurting Apple, and executives began to phase him out. In 1985, Jobs resigned as Apple's CEO to begin a new hardware and software company called NeXT, Inc. The following year Jobs purchased an animation company from George Lucas, which later became Pixar Animation Studios. Believing in Pixar's potential, Jobs initially invested $50 million of his own money into the company. Pixar Studios went on to produce wildly popular animation films such as Toy Story, Finding Nemo and The Incredibles. Pixar's films have netted $4 billion. The studio merged with Walt Disney in 2006, making Steve Jobs Disney's largest shareholder. In August 2011, Jobs resigned as CEO of Apple, but remained at the company as chairman of the company's board. Hours after the announcement, Apple Inc. (AAPL) shares dropped five percent in after-hour trading. The relatively small drop, when considering the importance of Jobs to Apple, was associated with the fact that Jobs's health had been in the news for several years, and he was on medical leave since January 2011. It was believed, according to Forbes, that the impact would be felt in a negative way beyond Apple, including at The Walt Disney Company where Jobs served as director. In after-hour trading on the day of the announcement, Walt Disney Co. (DIS) shares dropped 1.5 percent. Jobs was a demanding perfectionist who always aspired to position his businesses and their products at the forefront of the information technology industry by foreseeing and setting trends, at least in innovation and style. He summed up that self-concept at the end of his keynote speech at the Macworld Conference and Expo in January 2007, by quoting ice hockey player Wayne Gretzky: There's an old Wayne Gretzky quote that I love. 'I skate to where the puck is going to be, not where it has been.' And we've always tried to do that at Apple. Since the very very beginning. And we always will. In 2003, Jobs discovered he had a neuroendocrine tumor, a rare but operable form of pancreatic cancer. Instead of immediately opting for surgery, Jobs chose to alter his pescovegetarian diet while weighing Eastern treatment options. For nine months Jobs postponed surgery, making Apple's board of directors nervous. Executives feared that shareholders would pull their stocks if word got out that their CEO was ill. But in the end, Job's confidentiality took precedence over shareholder disclosure. In 2004, he had a successful surgery to remove the pancreatic tumor. True to form, in subsequent years Jobs disclosed little about his health. Hollywood is keen to bring the life story of Steve Jobs on the big screen soon. Just days after the death of Apple's co-founder, Sony Pictures is in negotiations to buy the screen rights to 'Steve Jobs', the authorised biography of the technology genius, written by Walter Isaacson, the Hollywood Reporter said. Mark Gordon would produce the big-screen adaptation of the authorized book. Isaacson conducted more than 40 interviews with Jobs over two years for the book, besides talking to his friends and families. thanku for the article.enjoyed reading in telugu in eenadu newspaper.